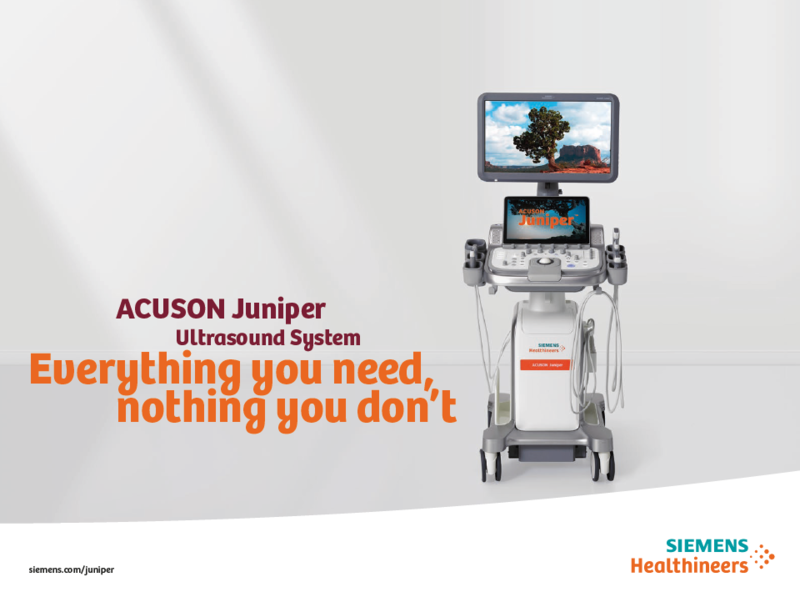 Powered by a completely new platform, the ACUSON Juniper is designed from the ground up to greatly reduce noise and offer premium image quality and industry-leading elasticity solutions. 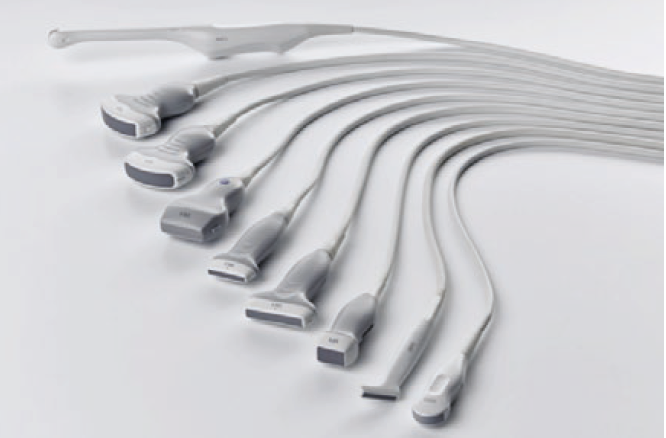 This clinical versatility enables you to expand your ultrasound clinical and service offerings across virtually all patient and case types. Juniper offers one of the smallest market footprints in its class, effortless maneuverability, 5 active transducer ports and a simple, intuitive and highly customizable control panel. 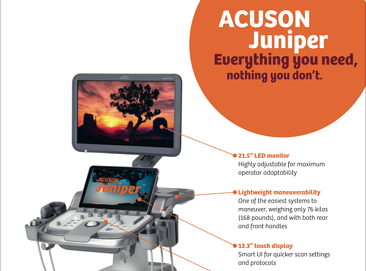 ACUSON Juniper offers powerful capabilities in one of the industry’s smallest ultrasound systems. Able to fit in virtually any hospital room, the system is up to 36% smaller and weighs an average of 27% less than other systems in its class. Most ultrasound fleets consist of diverse brands, models and versions, owing to the myriad of functions they must perform. Add to this the evolution of ultrasound technology—even within the same system model over several years—and you can easily end up with dozens of variations. Cassling knows the struggle of healthcare providers to optimize processes and achieve a productive workflow. Our experts can support you in transforming workflows and implementing pragmatic, real-life solutions. We start with a detailed analysis of your clinical processes to optimize services across departmental boundaries. Hard data and observation assist in determining the “current state," and together, we’ll create a “future state” workflow. Gap analysis provides the roadmap for change actions to drive implementation. Once new solutions are implemented, we then follow-up to monitor the operative results achieved. Contact us to request a demo, pricing, product info and more. Cassling can help you find the right ultrasound solution for your facility and your patients. We are proud to work alongside Siemens Healthineers to pioneer innovations in ultrasound technologies/applications and help you to obtain the vital details you need to guide accurate decision making.